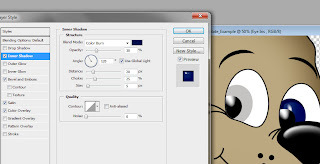 This tutorial will get into a little more depth about coloring & shading. 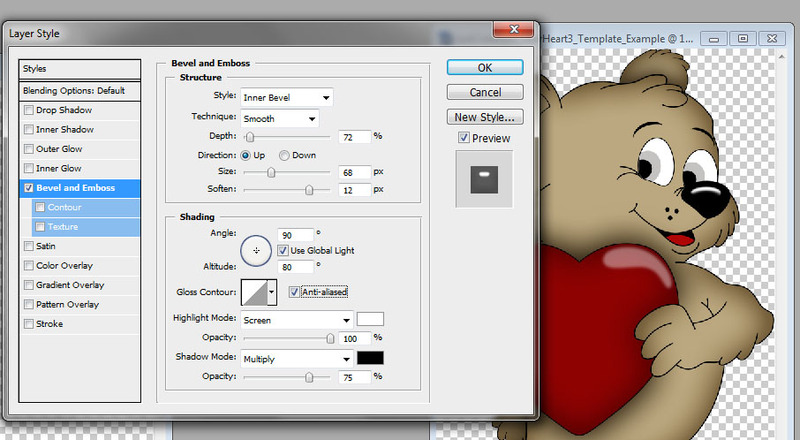 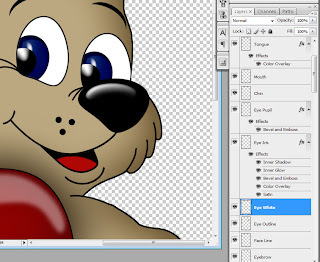 I'm using my "Bear with Heart 3 Template" It's a 3600x3600 300 DPI Image so if your image is a different size you'll need to adjust the settings to suit the size of your image. 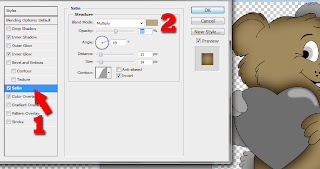 Once you've opened your image, Go to the Layers Pallet and double click on the layer thumbnail that you want to start with. 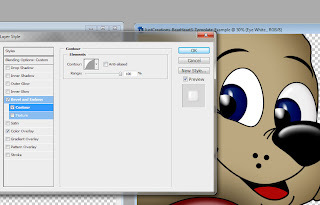 I usually start with the largest part of the image. In this case it's the Bear Body. 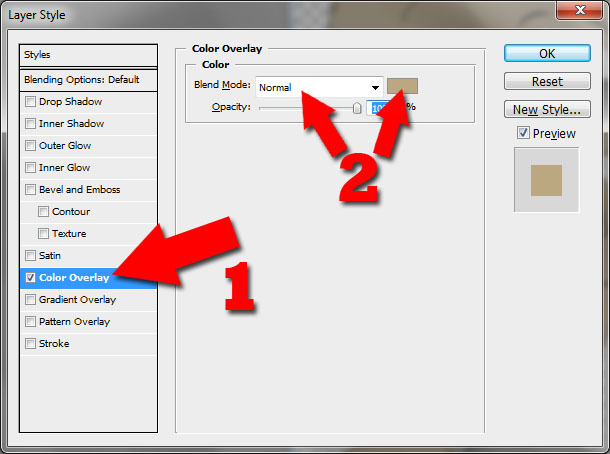 Now go to the "Inner Shadow" (1) and loot at the settings (2). 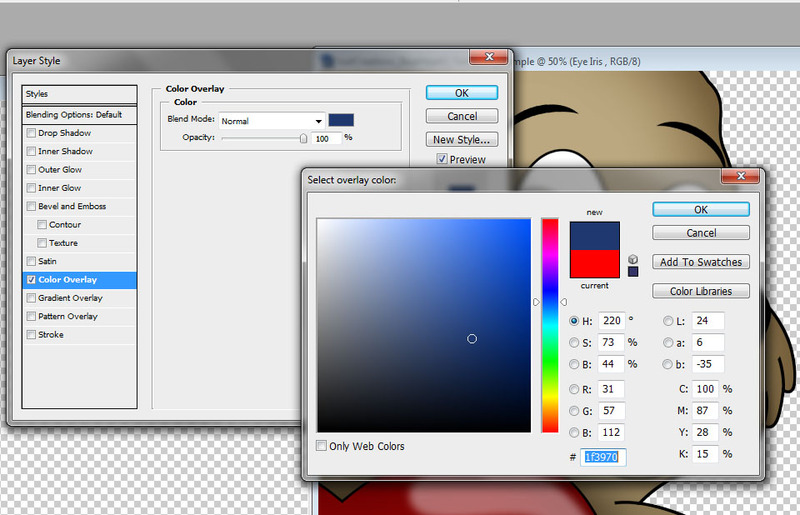 I have left the "Blending Mode" at "Multiply" and used a darker color than the one I used for the "Color Overlay". I left the "Distance" and "Choke" as they were set by Photoshop. 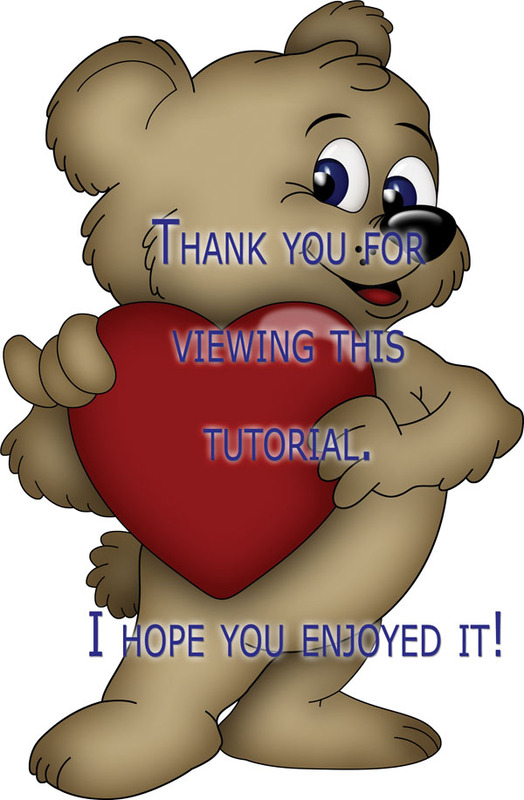 I put the "Size" as large as I could (since this is such a large image but you'll need to adjust according to the size of your image). 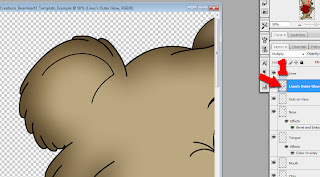 Now go to the "Inner Glow" (1). 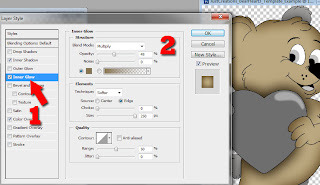 Change the "Blending Mode" to "Multiply" (2). 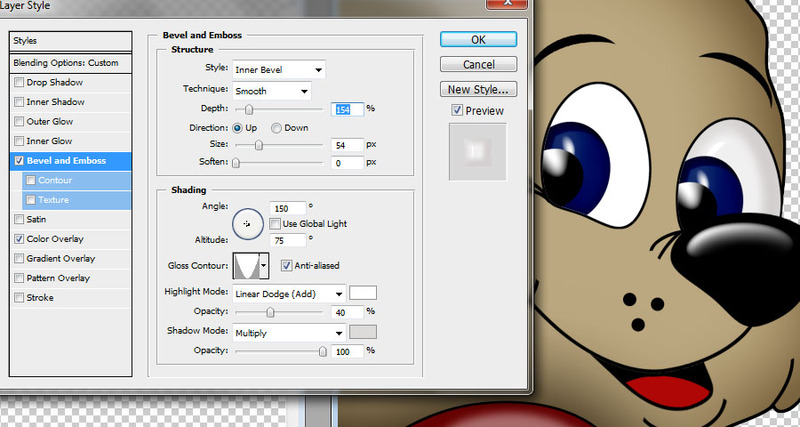 (You can use other settings, if you're not happy with how it appears; just play around with these to see the different effects you get). 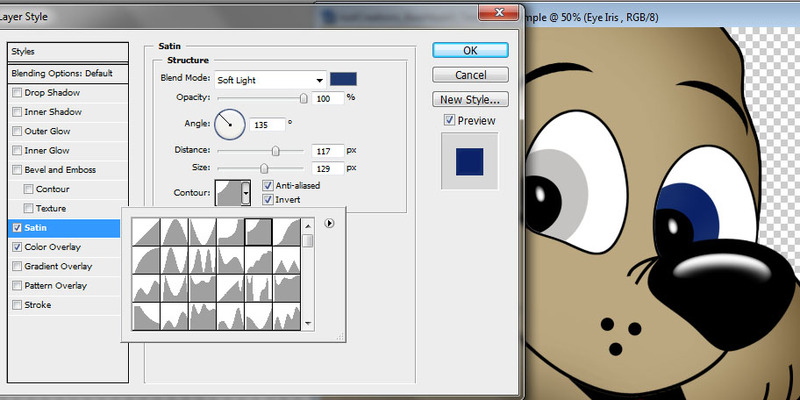 You can see the settings I used here to give it some depth. 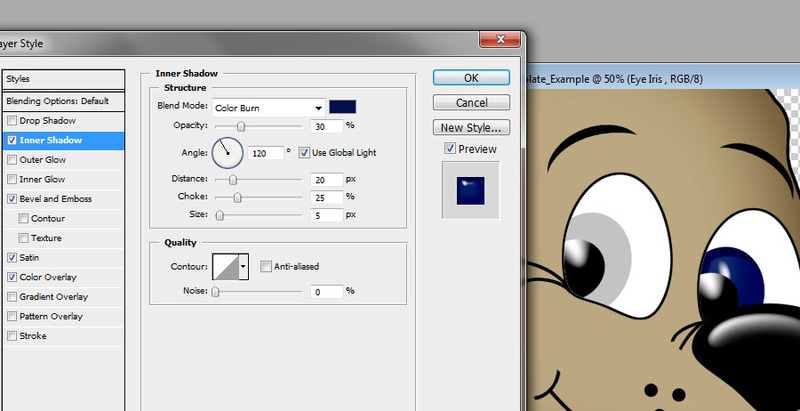 If you are not quite happy with the color that the image is so far, you can play around with the "Satin" tab. 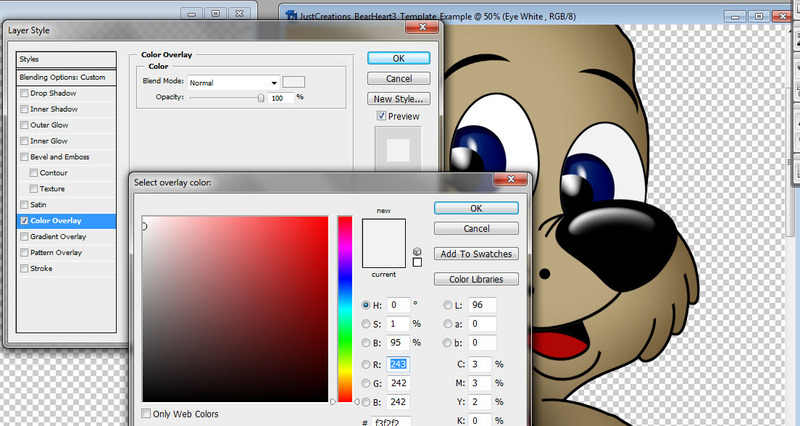 (1) Here I used "Multiply" (from the "Blending Mode") and used the same exact color as I did in the "Color Overlay" This gives it a darker appearance. Now that you have the hang of this so far, finish the rest of your element layers using the same steps as listed above. Do not do these for the nose or anything you'd like to give a "Catchlight to"
We'll do those in the next steps. 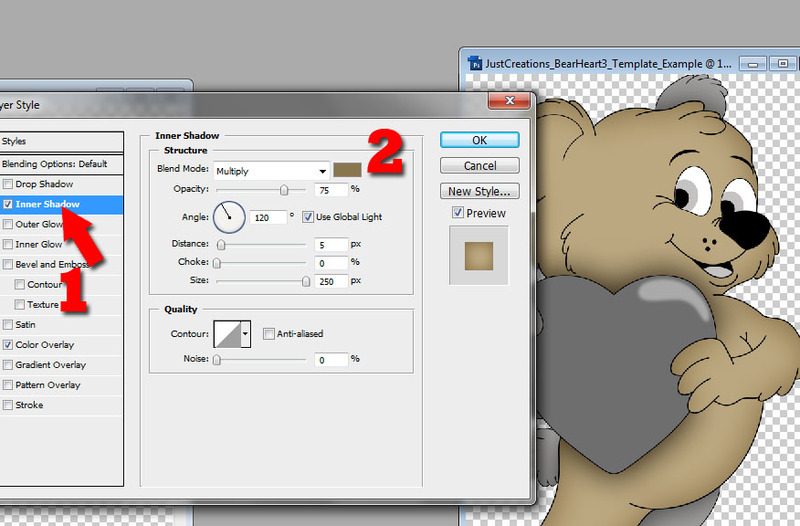 Go to "Bevel & Emboss" and use the settings I have. 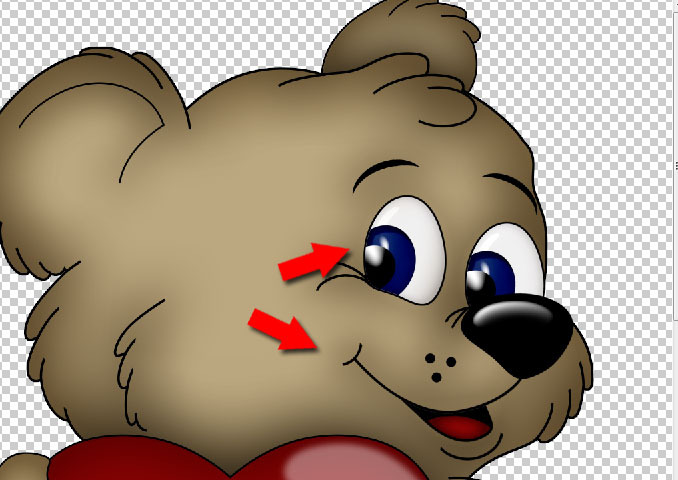 Shadow Mode: Multiply (Opacity 75%) and using the same color as I did in the "Inner Shadow" and "Inner Glow"
Now go to the "Contour" tab and for the "Contour" choose the "Half Round" contour. Make sure that your Anti-aliased is checked. 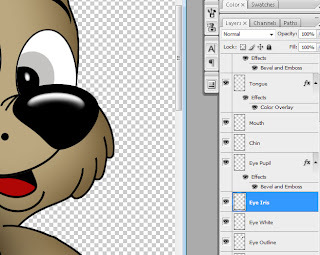 Now we'll do the Eye Iris. 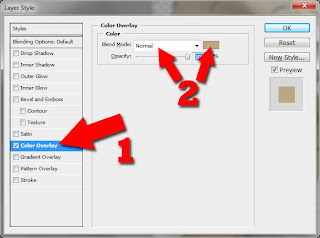 Double click on this layer. 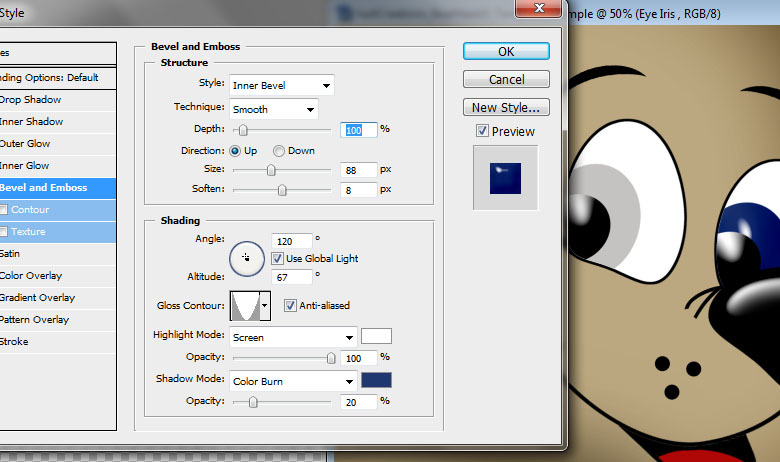 Go to the "Color Overlay" and click on the little color box next to the "Blending Mode"
For the Iris I chose 1F3970 as the color. 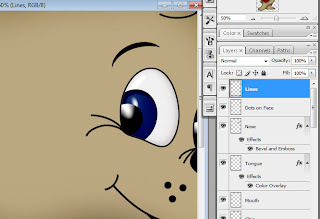 I used the Cove Shallow Contour. 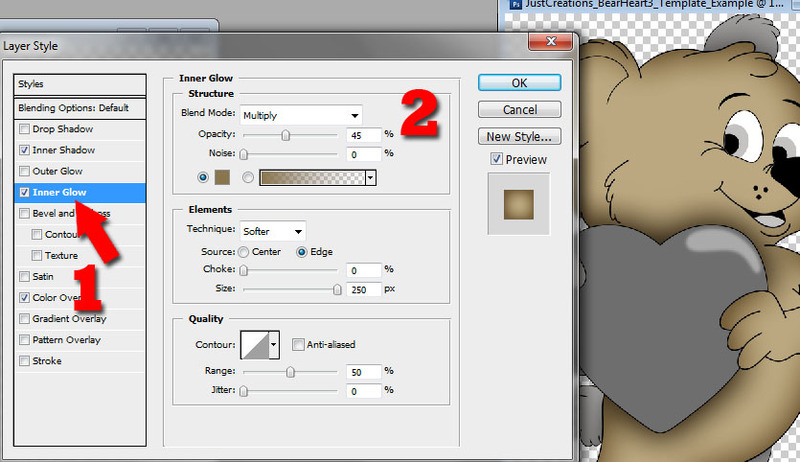 Now go to the "Inner Shadow" tab and change the "Blending Mode" to "Color Burn" Use the same color you did for the "Bevel & Emboss" "Shadow". 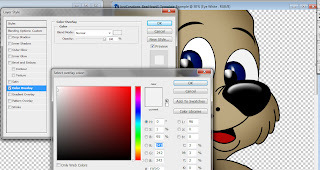 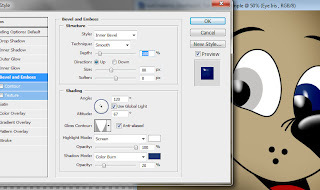 Check the "Use Global Light"
Now go to the "Inner Glow" tab and change the Blend Mode to "Multiply"
Use the same color you did for the "Inner Shadow"
Now we need to do the whites of his eyes. 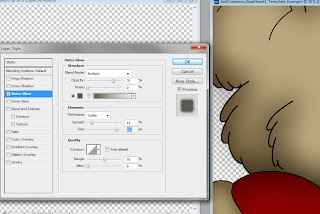 Double click on that layer. Check the Contour tab and choose the "Half Round" Contour. 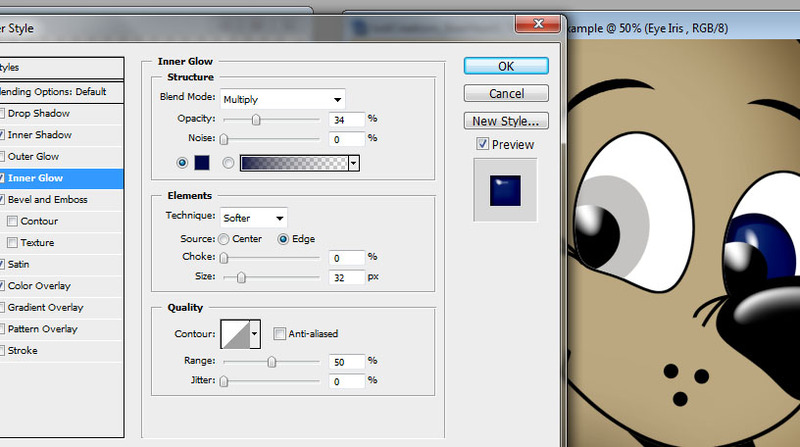 Go to the "Outer Glow" tab and change the Blend Mode to "Multiply"
From here you'll have to play with the settings to see what looks best. For me, with this image I used the settings as follows. I used the same color as I did for "Inner Shadow"
Once you're done you'll notice that the glow is outside your element. 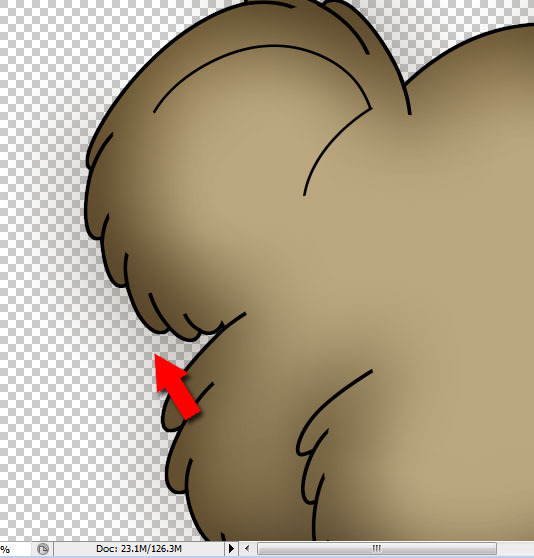 Don't worry, this will be fixed in the next couple steps. Over to the right side of the lines layer (in the Layers Pallet) you just worked on you'll see a little fx. 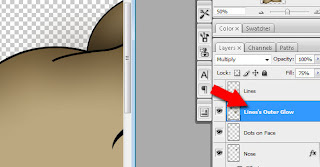 Do a right mouse click over this and you'll see (towards the bottom) "Create Layer" Left Click on this. 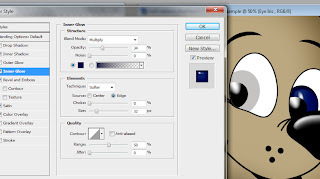 Now your "Outer Glow" has become it's own layer. So, now we can fix the spill over. 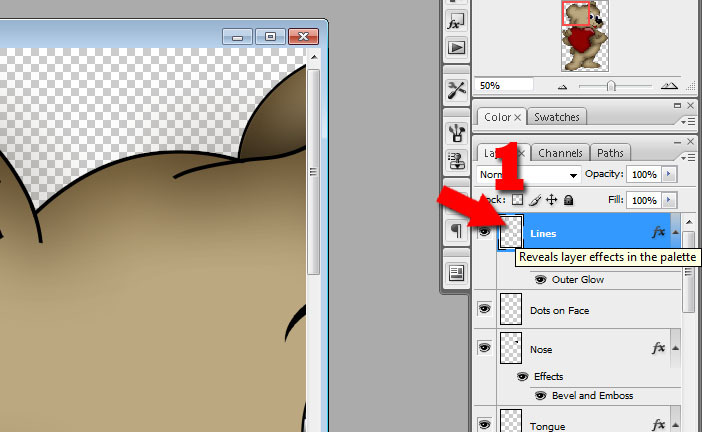 Make sure to highlight this layer (click once on the layer) Now locate the layer that the lines are over. 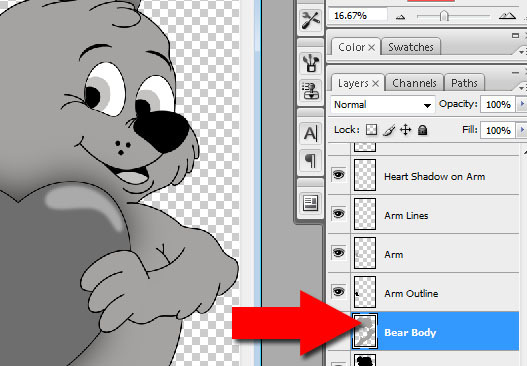 In this case it's for the "Bears Body"
You should now see marching ants around the edge of the bear (or your image). At the top of Photoshop you should see a menu that says "Select" Click on this and a drop down menu should appear. 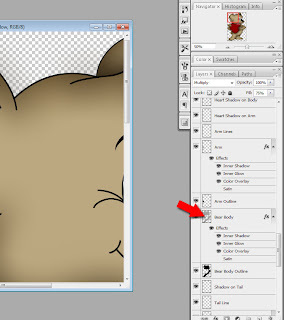 Click on the one that says "Inverse" (towards the top). 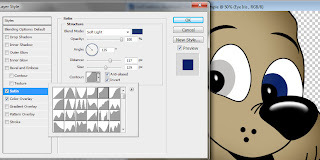 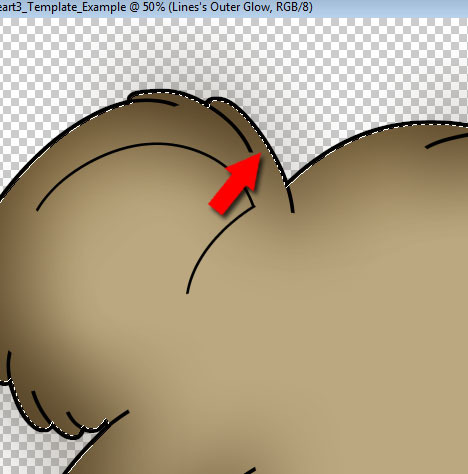 Make sure that your "Lines Outer Glow" is still the highlighted layer. 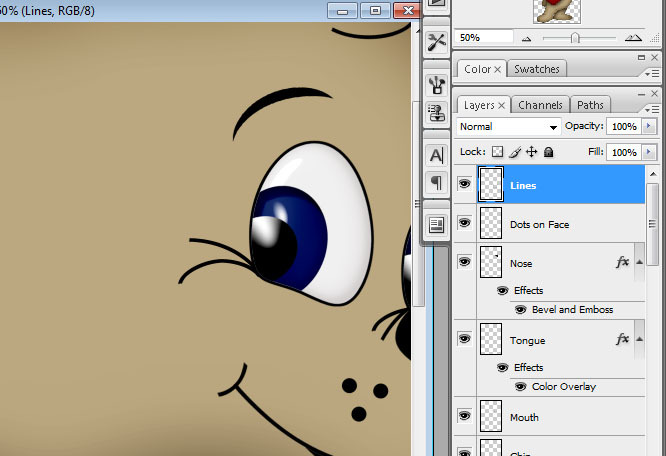 I've done the Mouth, Eyes and Etc the same way (Outer Glow). 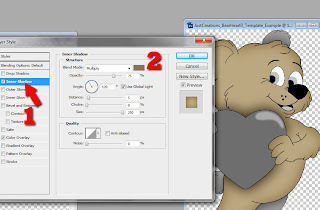 Once you're done with this play around with the Outer Glow's Layer Opacity (in the Layers Pallet right above the Layers Pallet on the Right Hand Side). You can adjust the opacity until you get your desired appearance.